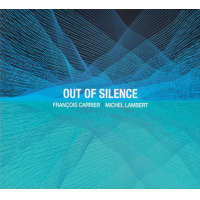 The mystery of spontaneously created music is most certainly "unknowable," but saxophonist François Carrier has shown himself to be completely at home facing, and embracing, the unknown. 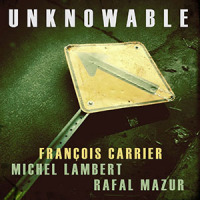 Unknowable finds Carrier and his long-time percussionist Michel Lambert meeting acoustic bass guitarist Rafal Mazur at the Alchemia Jazz Klub on June 1, 2014 at the recommendation of Marek Winiarski, the owner of Not Two Records. The live, completely unrehearsed set went so well, and felt so intense and present that the musicians went back to the club the next day and recorded the album. 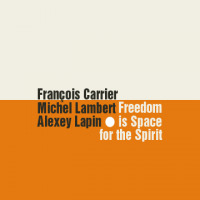 "Free" jazz is actually a misnomer, and perhaps the term should be scrapped and replaced with "unplanned" or "spontaneous," especially with players like Carrier, Lambert and Mazur. 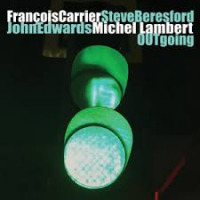 Carrier's style (if you will) borders on the lyrical much of the time, with identifiable phrasing and even at times something approaching tonality; the time and place in which he finds himself dictates the overall mood of his playing at that moment. 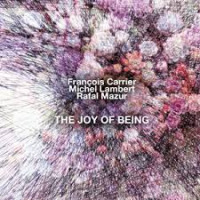 It is no wonder that he and Mazur clicked, because as can be seen here, Mazur's playing has the similar characteristics of freedom within the boundaries of a tonal anchor. Lambert, who really is a percussionist rather than a drummer, is now able to play off of not one, but two players. Beauty in music is much more than euphony. With Unknowable, this trio, at this moment, demonstrates the beauty of spontaneous creation where space and time is transformed, enveloping all who are within its reach and changing them forever. Track Listing: Listening Between; Insightful Journey; Be Young Beyond; Unknowable; Springing Out; Dissolution. 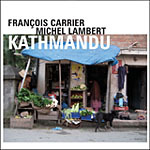 Personnel: François Carrier: alto saxophone, chinese oboe; Michel Lambert: drums; Rafal Mazur: acoustic bass guitar.